It isn’t a wonder our wonderful plant works better when we stop filling landfills and garbage sites with trash. One of the best ways to keep this planet healthy is to recycle. Recycling gives everyone the opportunity to learn how to reuse things, even earn a bit of money on certain products companies themselves will recycle. Here are some suggestions you might like to try to not only recycle, but earn a bit of pocket change in the process. At times some recycle centers will accept silver depending on the type of smelting process they use. Because it is harder to separate the impurities in silver and the pollution to recycle silver is greater, a lot of companies wont recycle. Be sure to call ahead and ask if that company accepts silver for recycling. Too silver doesn’t earn as much as gold. Many grocery stores recycle their plastic bags. They’ll have a box set up at the front most times if they recycle. This will cut down on the amount of plastics which goes into your garbage, saving you a few dollars on your garbage pickup. Too, you might consider purchasing supermarkets reusable grocery bags, these are inexpensive, costing most times a dollar or two. By using reusable bags you’re doing your part in keeping plastics out of garbage dumps, and you’re once again cutting down on the cost of garbage pick up. If you purchase water from a grocery store, think about using their in store water re-filler systems. This allows the consumer the ability to reuse those plastic gallon water containers, cutting the cost of water buying exponentially. There wont be a need to purchase the smaller bottles, by the dozens, if you buy your water this way, and you’re cutting down the plastic traffic which goes into landfills and sometimes our oceans. If one puts into practice these recycling methods, you’ll cut down on your carbon foot print left on this plant, but you’ll also save yourself money. Most everyone can use a little bit of pocket change these days. It all adds up in the end. We’re only a week into Summer and it’s already a scorcher. I don’t know about y’all but when it gets hot like this, I’m always looking for a quick and easy snack that doesn’t cost a lot, to cool myself down with. Here’s a couple of inexpensive Weight Watchers Snacks the whole family can enjoy during the Summertime. Ice Cream Sandwiches the low-fat way. Take one Graham Cracker and split it in half. To one half of the Graham Crackers, add two tablespoons of your cool whip. Wrap in plastic wrap and freeze. Keep repeating until you run out of either or both. Once the cool whip freezes you have frozen snack that is delicious and low-fat. You don’t need to use name brand either, the generic of the cool whip and graham crackers will work just as well and cost a few cents cheaper. Another frozen treat I enjoy eating is frozen grapes. Believe me, when you’re hot, these little frozen fruits will cool you off in a hurry. Give you grapes a quick water bath. Next roll them in your dry Jello powder until they are all coated. Place in a zippy bag and freeze. Once frozen these delicious sparkling grapes will cool you down in a hurry. 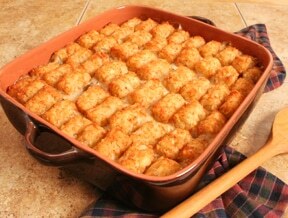 These two quick and easy recipes are great treats for the kids and adults. They are inexpensive for the most part and are great snacks for when it’s hot outside. I was introduced to Indian Fry Bread at our State Fair in Tulsa, Oklahoma. This delicious, multipurpose bread can be eaten as a taco, dessert, or as a bread. How it came to be introduced into the Americas is that explorers brought flour to the “New World” and traded with the Native Indians for their wares of fruits and vegetables. 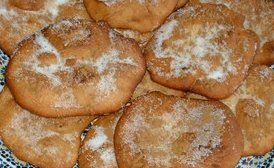 With the introduction to flour, the natives came up with different ways of using the flour, Indian Fry Bread being one of those delicious creations. Here’s a simple recipe to follow so you can experience the delicious taste of Indian Fry Bread. 1. Mix the flour, baking powder and salt together. Pour the water in and mix till the dough is soft, but not sticky. You can add more flour or water if needed. 2. Place in a bowl and let sit for about 15 minutes. Divide into 12 equal parts. Roll out the dough until 5 inches in diameter or 1/4 thick. Poke a hole in the middle so the bread fries well. 3. Heat oil till it reaches 375. The drop the bread in one at a time until golden brown. 4. You can eat this delicious bread with butter and honey or eat as a taco filled with your favorite taco fillings. While browsing the internet for frugal ideas which haven’t already been beaten to death, I came across an interesting title on frugal grilling. Since it’s Summer and grilling will be on the agenda for so many, I thought I’d give it a go. 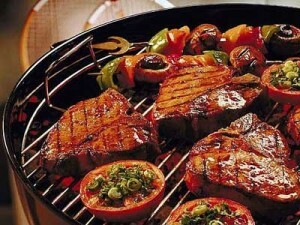 So here are some frugal grilling tips your master griller might want to take into consideration. If money is the reason you can’t afford to buy even an inexpensive grill, get creative and make your own. An old oven rack positioned over some cinder blocks in a cleared fire-free area will work nicely. You can use wood or charcoal bricks (which are inexpensive) and can roast hot-dogs or marshmallows nicely by grilling this way. A person can even wrap potatoes in foil and throw them around the edges of the fire and let them bake for delicious baked potatoes and you can do corn on the cob the same way. Place foil over the oven rack and grill hamburgers or other meats on top of it. There’s no reason to spend so much money on BBQ Sauce these days. One can find Kraft BBQ Sauces so inexpensively in stores, if you use a coupon or buy BBQ Sauce when it’s on sale with a coupon, you’re getting it for nearly nothing. If you don’t want to use store bought then they can make their own. Here is what I do to make my own BBQ Sauce. I combine, mustard, honey, brown sugar, tomato sauce, a bit of salt, pepper, a pinch of Cheyenne and beer to make a flavorful BBQ Sauce. I usually don’t measure, but mix according to my taste. Plan ahead for the BBQ when it comes to meat choices. Watch the sales ads and buy your meats ahead of time. A savvy shopper can get things like hot-dogs, hamburger, pork, and steaks for a fraction of the cost when they shop the sales. This is especially true when a holiday is coming up. Of course you can always share the expense of a BBQing with others. So invite guest and have them bring something to add towards the BBQ. When you grill and have guest, the expense can be minimal if everyone pitches in. Someone can bring potato salad, another drinks, a few can bring meats, some can bring bread and so on. One of the best Savvy tips any griller needs to abide by is to keep your meats cool, especially when kept outside. Summer isn’t to be trifled with. 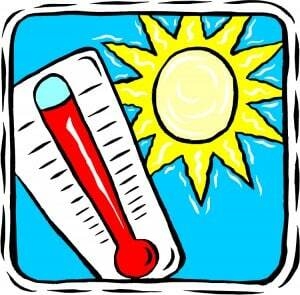 The heat can spoil meats and anything with egg, onions, and mayo quickly, so keep them on ice or in a cool area. Save yourself some health bills by not letting your food spoil in the heat. Another Savvy idea for the griller is to keep your drinkable selections to drinks that will keep your guest hydrated. Water, Gatorade, and Tea are some great options. These are mostly inexpensive and will set well on stomachs in the heat. Finally when it comes to paper products, throw away cups and disposable utensils, use your regular housewares if you can. Yes there will be dish washing involved afterwards, but you’ll not have to purchase these things. Such things as these can be costly when grilling out. So go ahead and enjoy the Summer and grilling. Plan ahead when you can, use coupons and be creative. You’ll then have a great and inexpensive BBQ that will impress your guest. When it comes to giving gifts, especially to those we appreciate, it’s hard to know what to give when little money or no money is available. If lots of money were readily available no doubt the best would be bought, but since we’re dealing with limited or no budget getting creative with what we give is a good way to go. It isn’t important that the gift be big or expensive. A gift after all is token of our appreciation towards friends, family, and others. They will appreciate your thinking of them. When deciding on what you’re going to do or make, keep the person in mind that the gift is for. You don’t want to give a gift which isn’t suitable for the receiver. If you’re giving a gift of Cheese, logically you’d not give it to someone who doesn’t like cheese. So take the time to consider the person, what they like, and the times you’ve spent together. Remember frugal doesn’t always mean cheap or free, it means also using your money in a way to get the “most bang for your buck”. With that thought in mind here are a few suggestions which might work for you when it comes to giving gifts of appreciation. 1. Personalize a journal for your writer friends. Dollar stores, such as the Dollar Tree carry an assortment of journals which cost a dollar. Once you make a selection personalize it with things appropriate to the persons you’re giving it to. On the inside cover leave a message, a quote or something which links the two of you together. 2. Cookies, cakes, or favorite desserts always make great gifts. Doll them up with ribbons and packaging, throw in a note, again something the two of you have shared together. 3. Do you have a friend who likes house plants? Give a starter plant to a friend who enjoys growing things. 4. To those who love coffee, an on the go mug with a sampling of coffee is perfect. 5. Consider giving oils and lotions to those who are into skin care. Again Dollar stores carry an array of lotions and oils which cost next to nothing. 6. If you are giving a gift to a teenager or someone who enjoys music, create a CD with their favorite music on it. 7. Is there an avid reader on your list? Book stores always have sales on unique or personal selections of books and who says books need to be new? An old copy of a most cherished story can be just as thoughtful a gift as a new edition. 8. For those guys on your list, a gift of shaving cream or after shave can be a very thoughtful gift. 9. Just like with coffee, give a mug with different samplings of tea in it, if you know someone who likes tea instead of coffee. 10. For your Movie buff friends or family, how about a Movie Pass for a long awaited movie they’ve been wanting to see. Perhaps you can give them a bag of popcorn and snacks they can eat at home once the movie is over. If you can afford it a movie package might be available for a movie, popcorn and a drink. 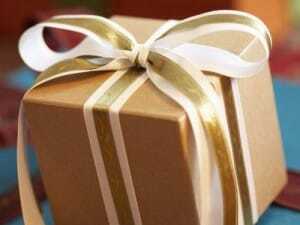 Just ask what kind of packages are available for gift giving when calling. No matter what you give or what you do, just keep the person in mind you’re giving the gift to. Giving a well thought out gift, no matter the cost, is what is important and it will mean a lot to the person receiving it. With Spring in full swing and Summer on the way, many have started gardens to help in lowering the cost of purchasing fruits and vegetables for their family. However not everyone has a green thumb, so to get around paying high prices for produce, here’s a few savvy shopping tips for buying these delicious tidbits for your family. 1. Buy fresh vegetables and fruits which are in season. This is because they are readily available and they are at their peak in taste. Since in season fruit is available, the cost of purchasing is lower than buying off season produce. One of the best places to shop for “Fresh” is at farmer’s markets. These home grown items are about the freshest you’ll find as they come straight from the garden to the market for sale. 2. If you’re able to and have the know how, grow your own veggies. If you don’t want to clear a plot of land, do a bucket garden. Grow in each the type of vegetable your family likes. This will eliminate some of the cost for foods in your family budget. For tips on how to Bucket Garden, follow this link http://www.pasturemanagement.com/Howtobucketgarden.htm. 3. If gardening is out of the question and you don’t live close to a farmer’s market, shop in store sales. Since in season fruits and vegetables are readily available, a lot of times you’ll find them on sale more often. Too, don’t get stuck on just “Fresh”. 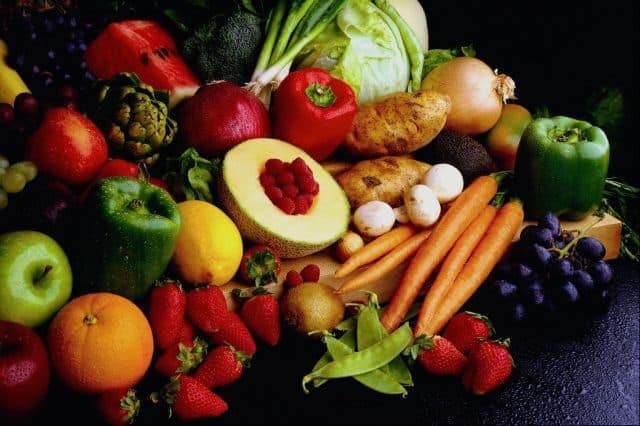 Purchasing frozen fruits and vegetables can be a great option to buying fresh, and you’ll have access to a variety of selections buying this way. Too, purchasing frozen fruits and vegetables can be a cost effective way of reducing a families food budget. The same principle applies regarding in season fruits and vegetable even though they’re frozen. What is in season will be cheaper than purchasing off season items. 4. If you do raise a garden or shop farmer’s markets, plan on doing some canning. Stock your shelves with the fruits of your own labor. When one cans the vegetables and fruits they grow or buy they have a long shelf life. Pkg of your choice of shredded cheese and other toppings. 3. Grilling or inside cooking, start with the vegetables which take the longest to cook first. Then as they start to get tender add on your faster cooking vegetables. When it comes to cutting your veggies for cooking, keep in mind they need to be cut small enough to fit in your tortillas. So length wise is the best for cutting, if they are bigger veggies, you can then cut them in half once cut lengthwise. 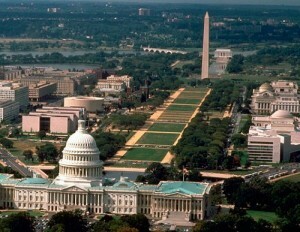 Free Activities To Do In Washington D.C. It doesn’t matter if you live in or around the nation’s capitol or if you’re visiting on vacation, there are things you can do for free or nearly free. Listed below are some sites, events, and happenings you can visit which will not put a dent in your budget. So enjoy doing things as a family. The events might be free, but family time is priceless. Rock Creek Park: Visit the Planetarium and view the stars for free. While there enjoy the park, have a picnic and just hang out. Plenty of things to see and do there. Bureau of Engraving and Printing: Enjoy letting the kids make money and see how it’s made. This is a free tour the family can enjoy. National Museum of Natural History’s Butterfly Pavilion: Every Tuesday for free, you can take a walk among hundreds of live butterflies. Time entry tickets are required so be there by 10 a.m. to pick them up at the Butterfly Pavilion box office. National Museum of American History: This is a great place to help your kids appreciate the history of our country. See collections and exhibitions. Explore the thousand of objects related to America. Enjoy hands on activities. Sites not to be overlooked by the history enthusiast are: The Lincoln Memorial, WW11 Memorial, Library of Congress, and the Arlington National Cemetery to visit the changing of the guards. Put on your walking shoes and take the family for a walk. C & O Canal Towpath follows the Potomac River from Georgetown to Cumberland MD. Pack a lunch and enjoy being outdoors. Often times because of working to provide a living for self or family, it’s easy to overlook the things that make the town or city what it is. Even on a budget one is able to take advantage of discounts or free events the city offers. To know what is going on through out the year and what is available, contact the cities resource centers and tourism places. Don’t be shy about asking for coupons, discounts, or free things to do. By planning these things ahead of time you can cut the cost of a vacation in half and still enjoy the whole experience of a family vacation.